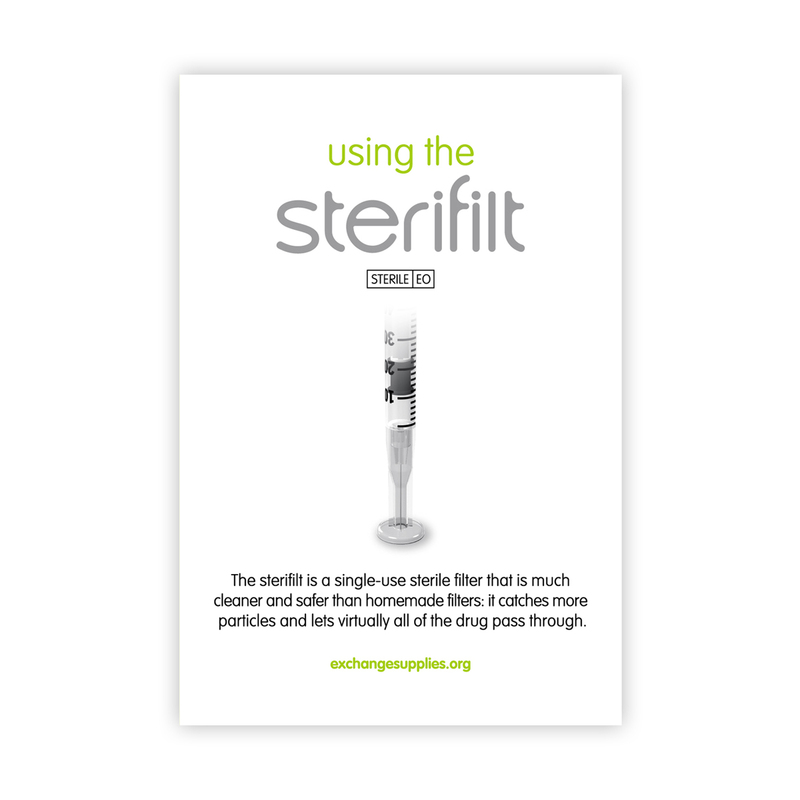 The sterifilt is a purpose made single-use filter for illicit drugs. The polypropelene membrane filters particles, but retains virtually no drug. The sterifilt fits all makes of all-in-one insulin syringe, it does not attach to the 2ml nevershare with the luer lock fitting. The sterifilt has been shown in laboratory studies conducted by Jenny Scott at the University of Bath to remove 90% of the particles measuring less than 5 microns, and 99% of all particles greater than 5 microns from the solution, which means it will reduce lung damage caused by particle injection. The sterifilt has been tested with brown heroin, white heroin, cocaine and many types of crushed tablets and has been shown to be an effective filter that stops particles being drawn through, but does not retain the drug. Orders received by 3pm Monday to Friday are dispatched the same day. works with both crushed tablets, and powdered drugs. 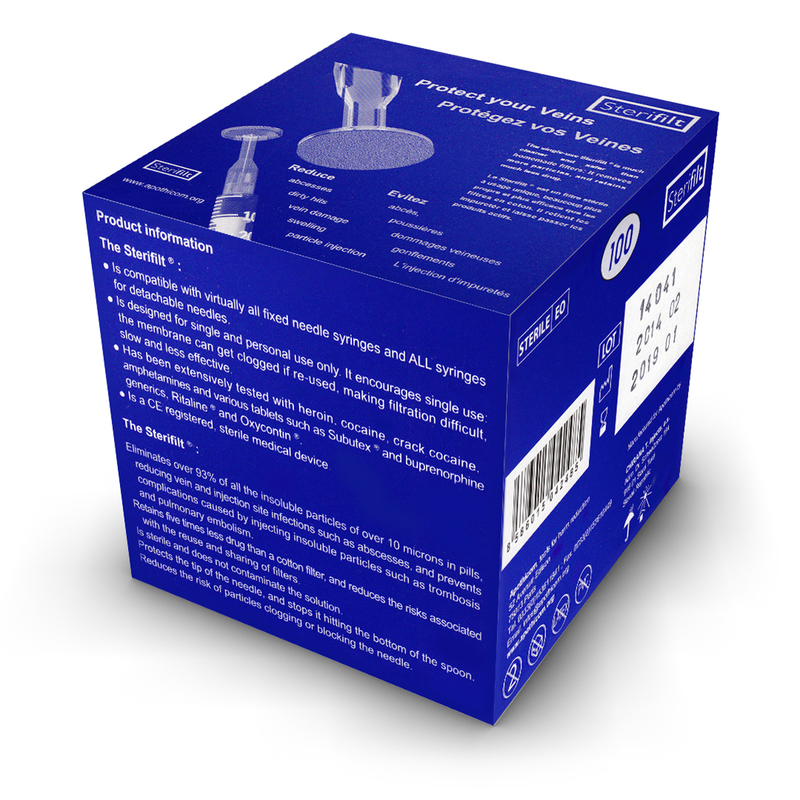 This means that the sterifilt has significant potential to reduce the soft tissue infections and other problems arising from the re-use of dirty filters. Filters that have been contaminated with blood may also carry a hepatitis C infection risk, although this is much less than from shared syringes, providing filters reinforces the importance of not sharing. The FAQ section of the site is designed to answer the questions that get asked by workers and injectors. If your question isn't answered in this section, or in the practice notes section feel free to go to the about us section, and give us a ring or drop us an email. 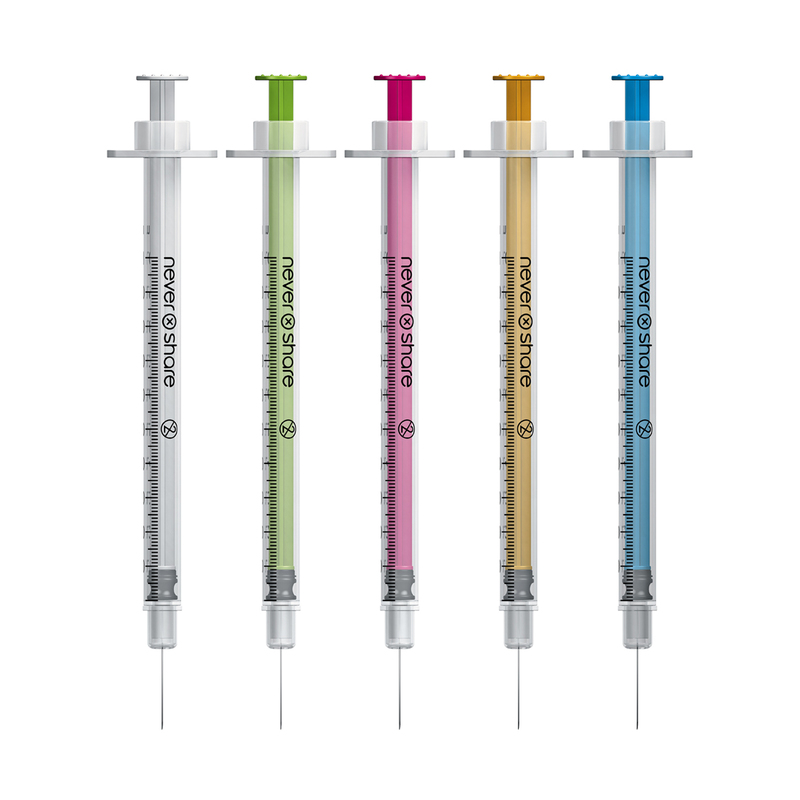 Is the sterifilt compatible with all syringes? The sterifilt fits ALL fixed needle 1ml insulin-type syringes including the Nevershare, and the BD microfine insulin syringe.. 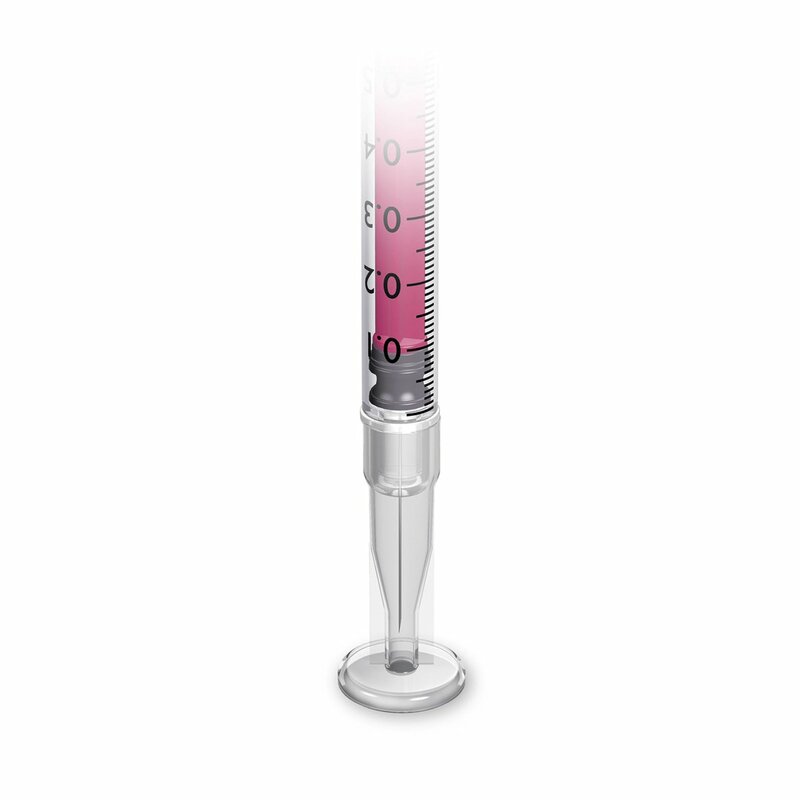 The sterifilt also fits onto all 'luer slip' syringes for detachable needles. 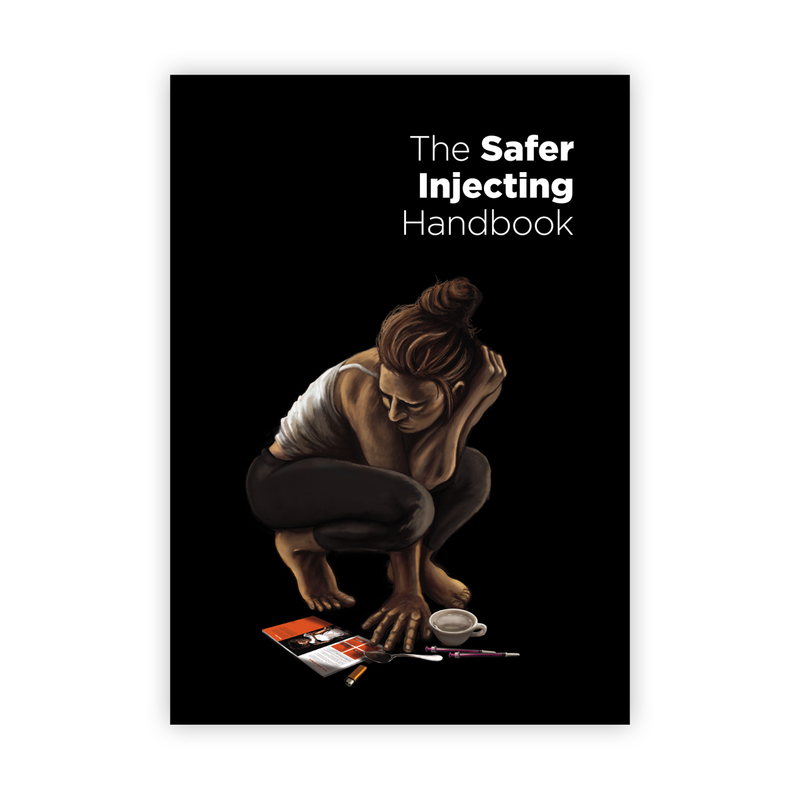 If you're using a syringe for detachable needles, then you use the sterifilt before you put the needle on. 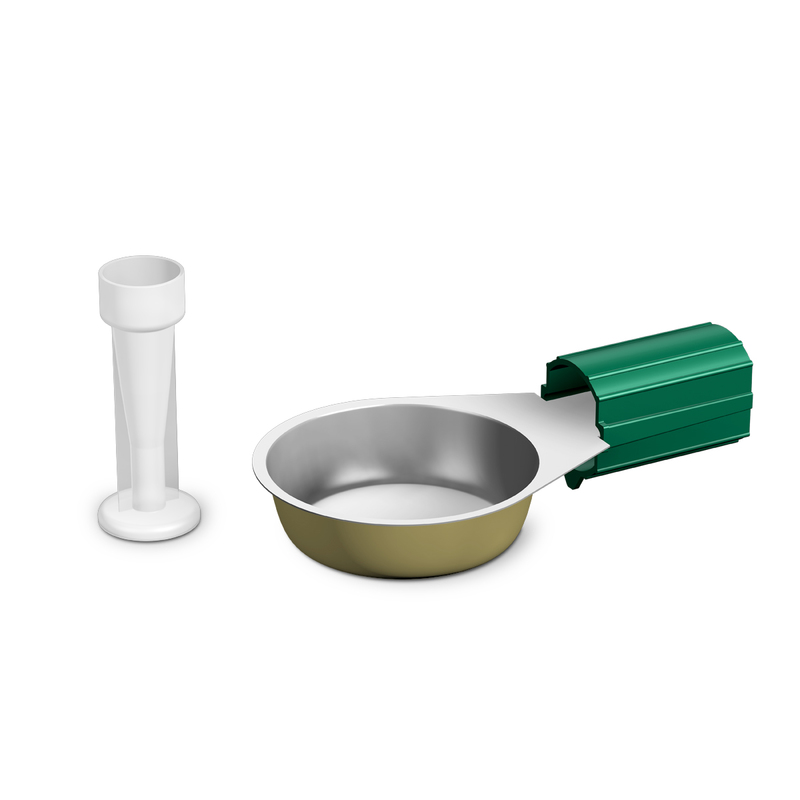 The sterifilt is designed to be a single use device. 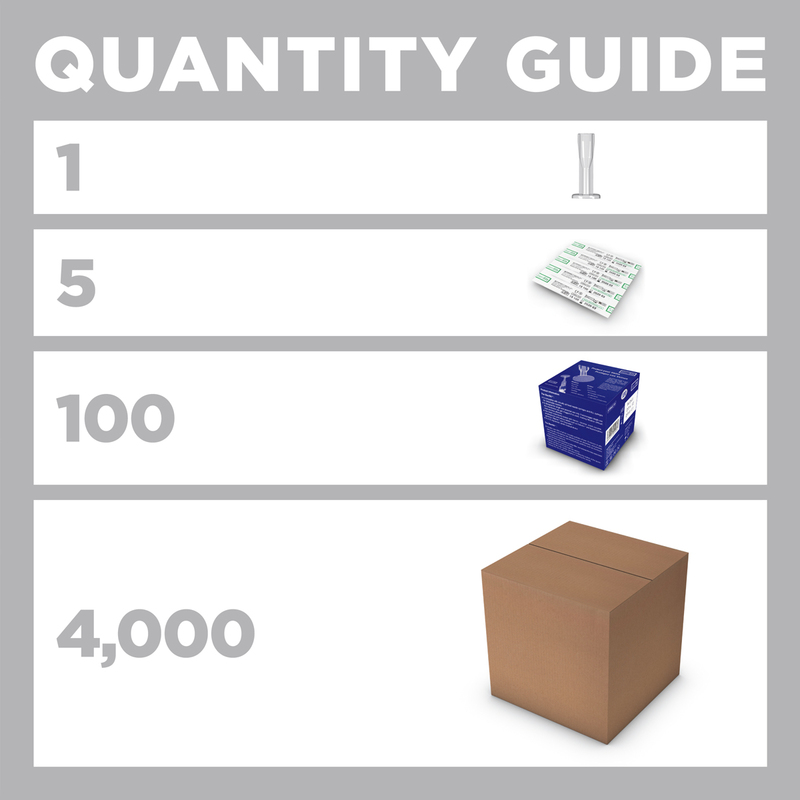 The main reason cigarette and other makeshift filters are reused is that they retain around 10% of the drug – the sterifilt retains no fluid, and no drug so there is no incentive for re-use. In addition the polypropelyne membrane is weakened by moisture causing it to tear if the sterifilt is re-used. We have had reports of people conserving sterifilts and re-using them, which is not recommended. 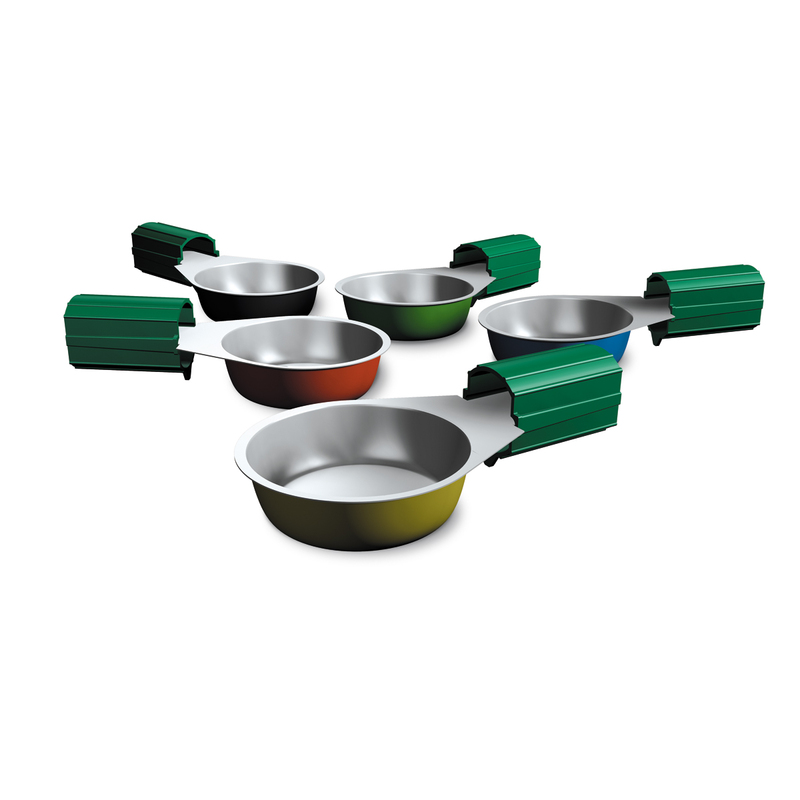 The care required means sharing is less likely than with makeshift filters. 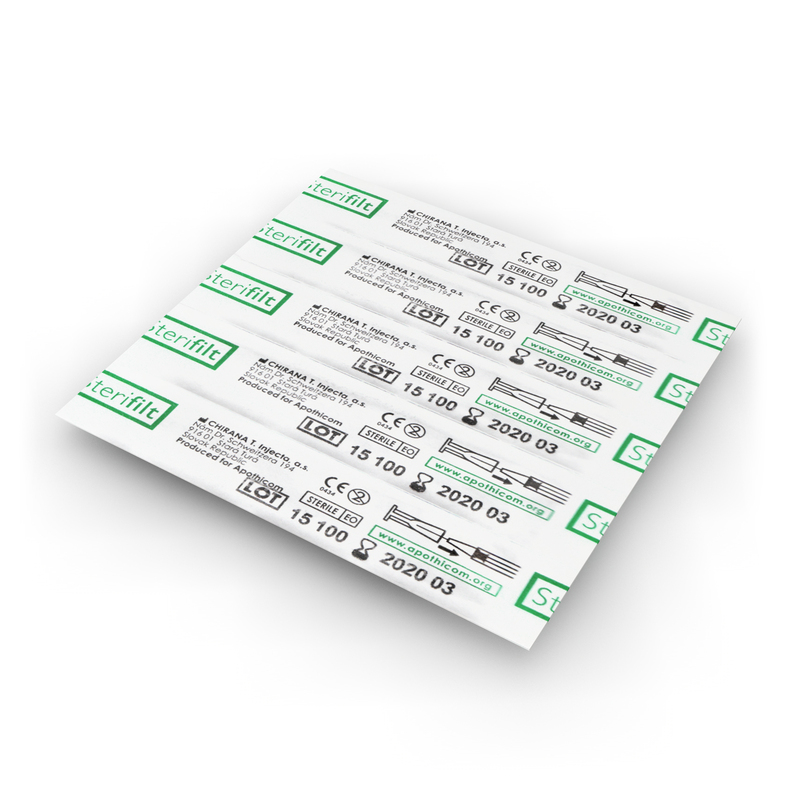 The sterifilt is a CE marked sterile medical device. 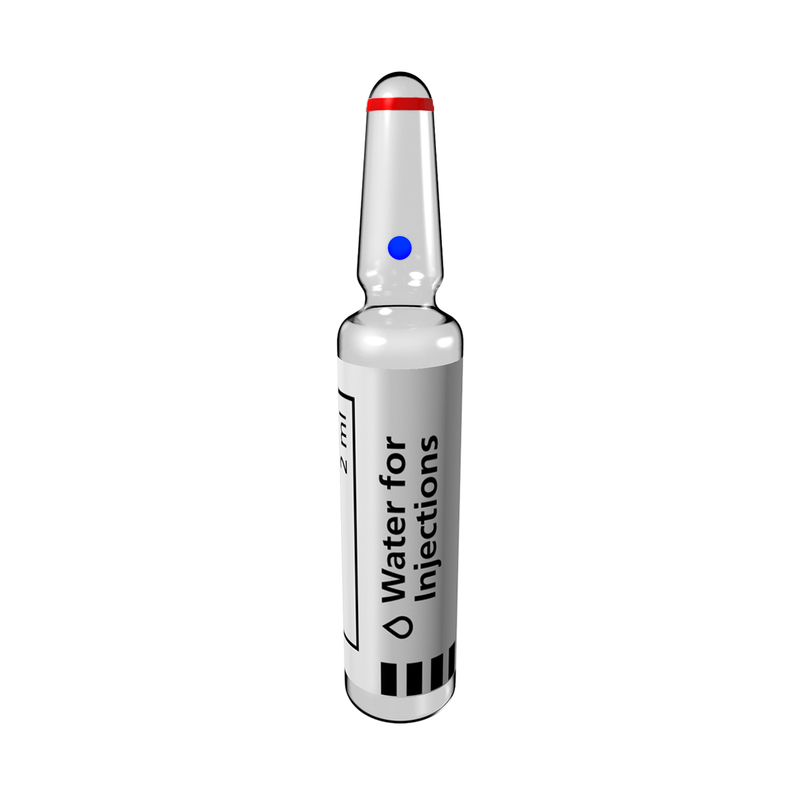 It has a plastic body which fits onto the syringe, over the needle. At the bottom there is a hi-tech polypropylene membrane that forms the filter. The filter is welded to the sterifilt by using ultrasound waves that melt the plastic around the full circumference of the sterifilt, before the filter is applied and trimmed. Every sterifilt is carefully checked before packing to ensure the filter is properly welded.